Property Management General Manager Celia Burbery interviews Diane Nelson, Director of Real Landlord Insurance. In late March I had the pleasure of attending a Property Management industry Conference (Palace and Real-iQ Conference) in Wellington. It was two days focused on property management alongside 250 industry colleagues where we learn from each other and look at what’s coming up in our industry. These conferences are always supported by our many important service providers including software, utility providers, advertising, education, and legal advisors to name a few. During a break, I took the opportunity to sit down with Diane Nelson of REAL Landlord Insurance and put some questions to her about landlord insurance that you may just be asking yourself, check out our session below…..
Having been in the Property Management industry for over 15 years at the time, I had seen so many landlords suffer financial loss through not having the correct insurance policies to cover them. Many of the existing policies gave limited cover, but often did not cover tenant related losses. The company I worked for also struggled with the fact that our Property Managers were therefore being blamed for the losses even though the tenants were responsible for them. The ineffectual judicial system also exacerbated the problem with ineffectual tribunal rulings, and recovery of the losses were hard to get. Terri Scheer bought her specialist landlord insurance policy to New Zealand after I had seen her policy in Australia at a Property Manager conference (at the time I was Chairman of The Real Estate Institute of New Zealand’s Property Management Division), and I asked her if she could do something similar for New Zealand. 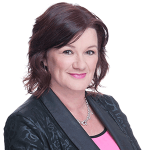 Terri Scheer Insurance Ltd was established in 2003 and in 2005 when a position arose, I thought I could make a difference to the many problems that Property Managers and their clients faced. At the time my knowledge of insurance was about the same as Joe Bloggs, and believe me I had a huge learning curve, but the pleasure of being able to say…“your losses are covered”, to many stressed Property Managers and landlords made it very worthwhile. I had the opportunity to buy the New Zealand business off Terri Scheer in 2006 and renamed the company REAL Landlord Insurance, because I believe this really is a REAL policy for landlords. One they can rely on when it all goes wrong. Q. What are important factors landlords should be thinking about when choosing an insurance policy? A landlord cannot assume that insurance will cover EVERYTHING. There is not an insurance policy in the world that will do that, and if there was it would cost a great deal of money to buy. The landlord needs to decide what their pain point is, for example can they afford to not have the rent paid – will that affect their mortgage or is it damages to the house that would affect them the most. In today’s world ensuring that they have legal liability is also essential particularly around legislative issues. But the most important thing is to compare apples with apples. Landlord’s need to check what they are actually purchasing. If they are offered a cheaper extension to their house policy, this may indeed cost them more money in the end, as they don’t have the cover that they thought they did, just because it is called a ‘Landlord Extension’. Q. You must come across some sad situations, can you tell us about one experience that we might all might learn from? Property Management brings out the best and worst situations for many people. Landlords often think only of what can happen if the tenant decides to stop paying their rent, or if they damage the property intentionally. But what happens if a tenant is murdered in the home, or even commits suicide? These things do happen, and more than we think! But even then there are times when accidents happen to a tenant that can impact on the landlord’s income and property. We recently had a claim, from the Owner of a property where the tenant was exemplary. They paid the rent on time, and kept the property beautiful. Unfortunately one day the tenant had a fall in the property and hit their head, hard! It was during the holidays, and after a few weeks their work, friends, and family contacted the police as they were concerned when they couldn’t get in touch. Sadly the tenant had passed away in the property as the result of an innocent accident. As this was also during the summer, the body had decomposed and contaminated the premises. It took some time to decontaminate the property and the landlord’s building insurer policy did not cover the loss of rents experienced. (They did however cover the decontamination of the property). The landlord would have been out of pocket for the loss of rent if they had not had a REAL Landlord Preferred Policy. Insurance is about covering the unexpected. Tenants can die in their sleep, they can die driving to work. Bad things happen to good people all of the time. Q. REAL Landlord Insurance policies are developed specially for investors, has there been any recent changes to policies in response to industry/legislation changes? As we have had a change of underwriter (in 2018) we have been able to secure Methamphetamine Cover under our Landlord Preferred Premier Policy. This cover is also available under the House Insurance policy as well as it always has been. We also took the opportunity to tidy up our wording to make it easier to understand. 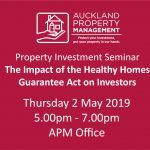 With regards to legislation changes, if these fall under the Residential Tenancies Act and the care of the insured property, the landlord must comply in order to have cover provided under the policy. Our policies are bound by legislation as are all insurance policies. If the landlord fails to comply with any legislation they put themselves at risk of not having a successful claim. Q. What would be your one tip to landlords that is not about insurance? Be knowledgeable about the information your monthly statement gives you. Is the tenant paying their rent regularly and on time? Has an inspection been held? What maintenance has been paid for? All of these things will ensure that you are consciously aware of what is happening at your property and what other information you should be reading, like inspection reports. Also ensure you have a budget for repairs and improvements to your property. If you don’t invest in your investment, the value will decrease, not increase as you hoped. So if Diane has got you thinking about your investments and you don’t currently have Landlord Insurance and are wondering if it’s for you, please contact your Property Manager directly (REAL Landlord Insurance is only available for professionally managed properties, no private landlords). Your Property Manager will either provide you with more information, or if you think specialist landlord insurance is right for you, move straight to putting the new insurance policy in place.